Have you ever imagined yourself juggling six children’s needs, housework, and professional career? It may sound like a bit of a challenge; yet, these two women, Sarah (“Sally”) Harkness, a mother of seven, and Jean B. Fletcher, a mother of six, were able to manage their professional lives while fulfilling their duties as mothers and wives. They both were graduates of Cambridge School of Architecture and Landscape Architecture for Women, originally affiliated with Harvard University and Smith College after 1942. 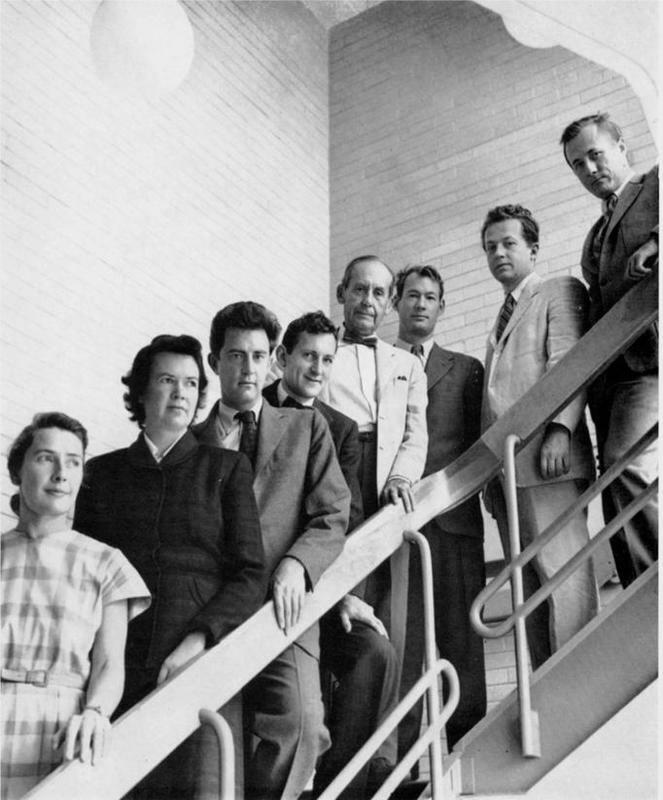 In 1945, the two talented women teamed up with six other architect friends and founded The Architects Collaborative (TAC), a leading architecture firm based in Boston, MA. Thanks to the “permissive attitude of the office,” Sally and Jean did not have to work full-time. Instead, they worked in shifts--one in the morning and the other in the afternoon--and shared the same babysitter. Yet, their professional and domestic lives inevitably overlapped. Sally said she “learn(ed) [an] awful lot of things from domestic life” especially when she thought about her kids and envisioned an environment surrounding them, a school. 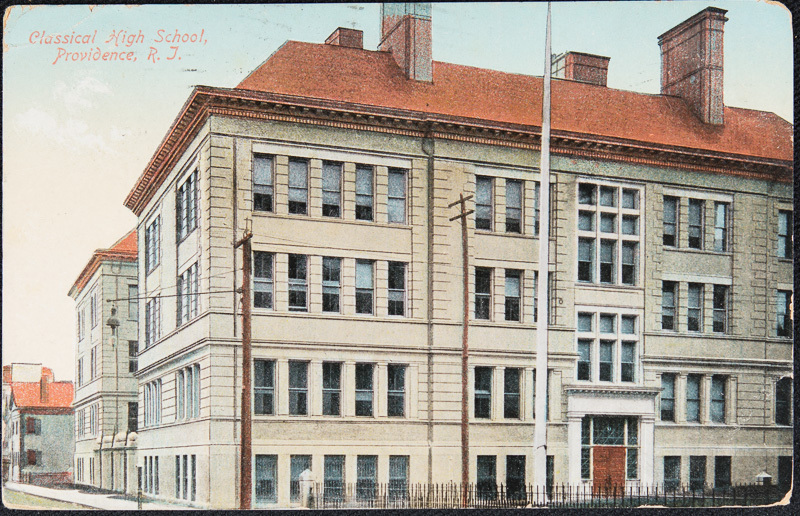 The application of their real-life experience to architectural practice must have contributed to TAC’s projects for numerous school buildings including Classical and Central High Schools. 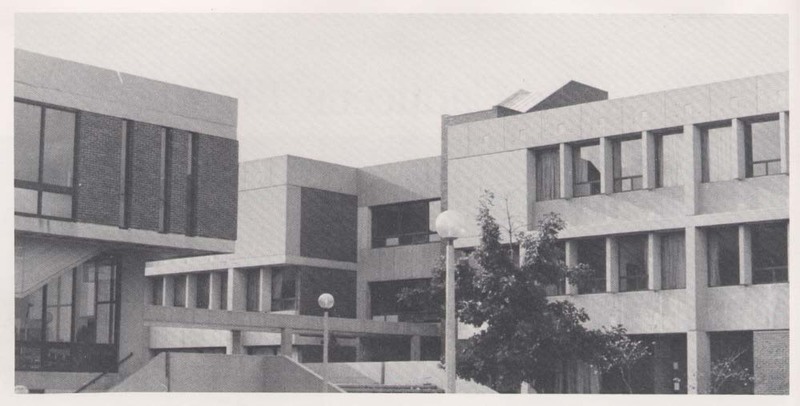 Classical and Central Education Center was the first project to which TAC applied the design of “a really urban school.” In 1963, TAC in collaboration with the local Providence architectural firm Harkness & Geddes won the first prize for the new design. However, it was not until 1970 that the buildings took the shape as we see today. Apart from the main building of Central School, everything that exists today was developed in the 1950s under “The Master Plan for Public School Sites.” The original Classical School building was proudly built in a mixed Italianate and Colonial style in 1843 as the first public high school at the City of Providence. It was a three-storied, massive structure with a basement with a high ceiling. TAC made a radical change to the design of the original masonry Italianate style by introducing raw, grey, concrete Brutalism. In addition, they changed the school's interiors by introducing novel concepts like multifunctional classrooms with movable walls which might have reflected the philosophy of TAC and experience of Sally and Jean's domestic lives. 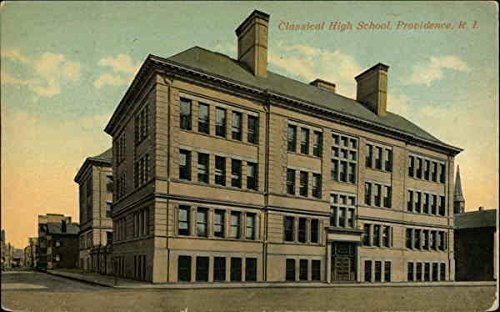 This drastic alteration is probably the main reason why Classical High School is still subject to frequent negative comments about its appearance. Even the well-known architectural historian William McKenzie Woodward made harsh comments on the buildings in his book PPS/AIAri Guide to Providence Architecture: “The Modernist vision here, intended to challenge, now merely defeats. It’s no wonder Modernism has gotten such a bad reputation in Rhode Island.” Though not everyone agreed with its aesthetic, the majority of the public praised the working ethos and concept. John Ware Lincoln, chairman of the Division of Design at RISD recognized the new building as “exemplary of the new concept of the architect as an environmental planner, working with social and civic sciences, demography, transportation engineering, building technologies, and, in this case, education philosophy.” Both school buildings are celebrated as the first of their kind in Providence but they should also be understood as a rare vestige of the work of pioneering female architects. A view of completed Classical High School building: After three years of construction, the new Classical High School opened again in 1970 with a completely different look. The red-brown bricks in between raw concrete façade creates a ambience of diversity which also accords with the school’s philosophy. Overall, it epitomizes a typical Brutalist architecture. ~ Source: The Architects Collaborative: international. Cambridge, MA: Architects Collaborative, Inc. 1992. The original plan of TAC extended to where now Providence Career & Technical Academy is located. 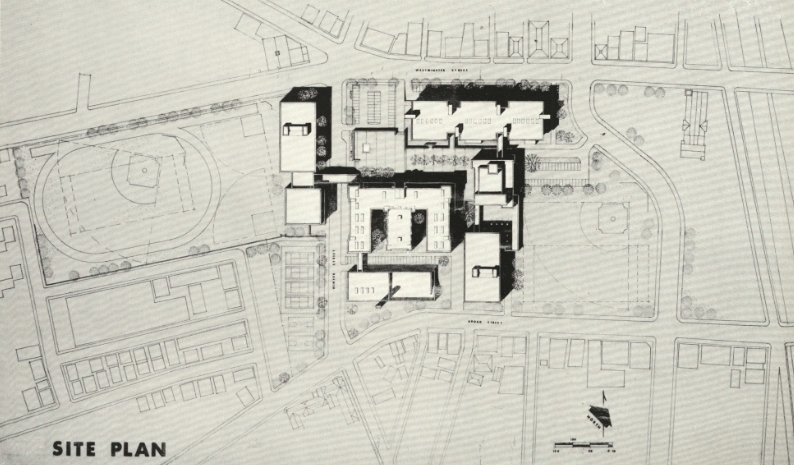 There was one more building which was supposed to be a gymnasium and cafeteria according to the site plan that TAC had submitted to the committee in 1963. Classical High School's official website. Central High School's official website. He Ri Kwon, “A Touch of Modernity at Classical High School,” Rhode Tour, accessed April 21, 2019, http://rhodetour.org/items/show/267. Woodward, W. McKenzie. 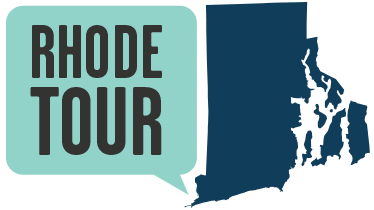 PPS/AlAri Guide to Providence Architecture. Providence: Providence Preservation Society, 2003.